The No. 2 Cal men’s swim squad (2-0) will get its first taste of a tournament-style meet this weekend as it heads to Athens, Georgia for the annual Georgia Fall Invitational. The Bears, the only Pac-12 representatives, will compete against some of the top schools in the nation in what is traditionally a midseason checkpoint for the team. The invitational lasts three days, with each day featuring morning and late afternoon sessions. All individual events will have preliminary rounds in the morning before finals take place later the same day. Relays, all taking place in the afternoon sessions, are spread out over the three days. This is the Bears’ first competition since the Triple Distance Meet against No. 7 Stanford three weeks ago. 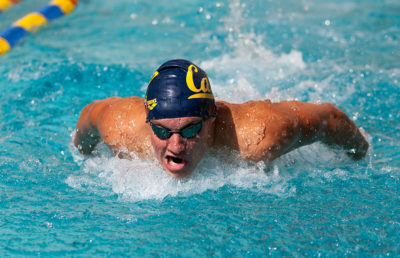 More ranked opponents await, as swimmers from No. 4 Michigan, No. 10 Auburn, No. 12 Georgia and No. 23 Virginia will line up alongside Cal at Gabrielsen Natatorium. Cal will look to defend its title in Athens after last year’s dominant showing, when it finished 150 points ahead of second place, but the coaching staff has their sights on more than just winning. Some of the strongest competitors Cal will face are Georgia’s Litherland triplets. Seniors Jay, Kevin and Mick Litherland all competed at the U.S. Olympic Trials last year, with Jay ultimately representing the United States in Rio. Jay most recently won two individual events at the Bulldogs’ win over Georgia Tech. 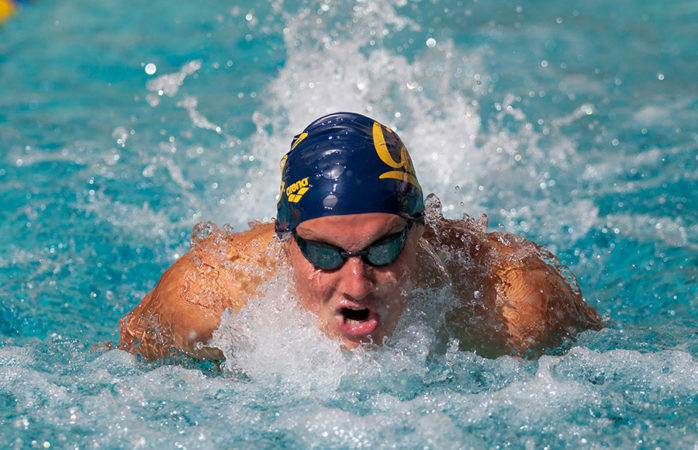 Cal’s distance swimmers will have to deal with Michigan sophomore Felix Auböck, the current Big Ten leader in the 500 free. With a time of 4:20.72, Auböck has been faster than any Bear this season. The divers will not be alongside the swimmers this weekend after an impressive showing at NAU two weeks ago, as they will stay home to train for the spring tournaments. For the swimmers, this meet will mark the end of the fall season. Although sights are set on bigger goals for next spring, this midseason invitational will provide the Bears with valuable experience and and serve as an important benchmark to gauge the status of their training.